Detox for alcohol can be dangerous. Here’s why you need medical detox. Alcohol dependence is different from alcohol addiction. 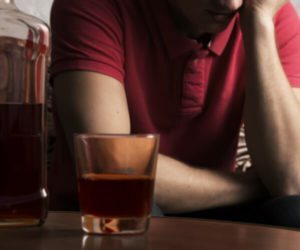 Dependence is the result of brain changes that lead to withdrawal symptoms when you stop drinking, which can be dangerous or, in some cases, fatal. Medical detox for alcohol is essential for your safety and comfort during detox. When you drink alcohol in moderate amounts, the alcohol acts on your brain by increasing the activity of the neurotransmitter GABA, which is responsible for feelings of calm and relaxation. At the same time, it reduces the activity of the neurotransmitter glutamate, which produces feelings of excitabiility. But when you drink heavily, your brain compensates for the presence of alcohol by reducing the activity of GABA and increasing the activity of glutamate in order to maintain normal functioning despite the frequent presence of alcohol. This produces tolerance, which occurs when you need to drink more in order to get the same effects smaller amounts of alcohol once produced. As you continue to increase your alcohol consumption, your brain continues to change its chemical activity to compensate. At some point, the function of the brain chemicals may shift so that your brain begins to need the alcohol to function properly. When you stop drinking after developing dependence, normal chemical function quickly rebounds. This causes the onset of withdrawal symptoms. Quitting alcohol on your own after you’ve become dependent can be excruciating. Most people who try to stop on their own will go back to using very quickly in order to end the discomfort. For some people, alcohol withdrawal can produce a dangerous and severe form of withdrawal known as delirium tremens, or DTs, which is fatal for five percent of people who experience it. Medical detox for alcohol not only makes withdrawal far more comfortable, but it also helps to prevent severe withdrawal symptoms from setting in. How much alcohol is in your system at the time of detox. How long you’ve been drinking heavily. Your general state of physical and mental health. The length of the alcohol detox timeline depends on the same factors, but in general, the detox timeline is comprised of three stages. Stage one occurs in the first six to 12 hours after your last drink. Withdrawal symptoms during the first stage of detox include headaches, anxiety, stomach pains and nausea. Stage two occurs in the next 12 to 48 hours and includes confusion and an increase in body temperature, heart rate, and blood pressure. Stage three occurs between 48 and 72 hours after your last drink. This stage is considered severe withdrawal and includes tremors, seizures, hallucinations, and delirium tremens. This stage is dangerous and can be fatal. The alcohol detox timeline typically lasts around seven days, although cravings will likely continue for considerably longer. The alcohol rehab detox process is supervised by medical and mental health professionals who administer medications as needed to reduce the severity of withdrawal symptoms like insomnia, nausea, headaches, and anxiety and prevent the onset of dangerous symptoms. High quality medical detox programs offer a range of therapies to help improve your comfort. These may include restorative yoga, acupuncture, or massage. Addiction is far more complex than dependence, and treating it requires intensive therapies that help you change dysfunctional ways of thinking and behaving and develop skills to help you stay sober for the long-term. Without addiction treatment, the relapse rate after detox is very high. However, with treatment, the relapse rate is similar to that of other chronic diseases like diabetes and heart disease–around 40 to 60 percent. Getting professional help for alcohol dependence and addiction dramatically improves your chances of long-term successful recovery, and it helps you improve all aspects of your life, including your relationships, health, and even your finances. A high quality treatment program offers individualized treatment to address a variety of issues, and it can help improve your quality of life by leaps and bounds.